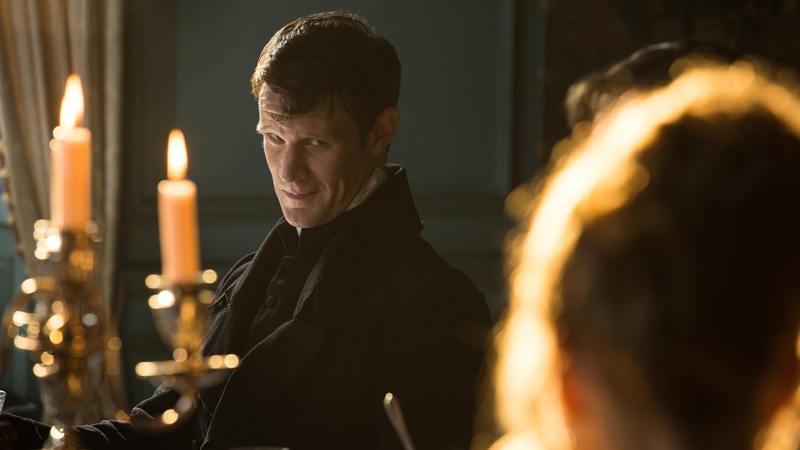 Enlarge / Matt Smith in Pride and Prejudice and Zombies. Actor Matt Smith has joined the cast of Star Wars: Episode IX, according to a report in Variety. The publication claims he will fill a “key” role but does not specify beyond that. Smith might be best known as the 11th Doctor in the Doctor Who franchise. He has also appeared in Terminator Genisys and Pride and Prejudice and Zombies, and he was recently nominated for an Emmy for his performance as Prince Philip in Netflix’s The Crown, a drama that follows the life of Queen Elizabeth II. That series is still running, but all its major roles have been recast (including Smith’s) as the third season will move on to a much later point in Her Majesty’s life. Smith is not the first confirmed cast member of Episode IX by any stretch. We’ve previously learned that The Americans‘ Keri Russell has a role that “calls for action-heavy fight scenes,” that The Lord of the Rings and Lost‘s Dominic Monaghan has been cast in an unknown part, that Mark Hamill will return in some capacity, that Billy Dee Williams may reprise his role as Lando Calrissian, and that even the recently deceased Carrie Fisher will return thanks to unused footage shot for The Force Awakens. Star Wars fans are speculating that Smith might play a villain working for the Empire-like First Order because of his English accent, but that’s far from conclusive—the trilogy’s chief protagonist, Daisy Ridley, also has an English accent. Episode IX will be directed by J.J. Abrams, who directed The Force Awakens. Abrams replaced the original director, Jurassic World‘s Colin Trevorrow, who was moved off the project over creative differences. Abrams said in February this year that the script had been completed and that it was co-written with Chris Terrio. Terrio’s script for the critically acclaimed Argo won him an Oscar, but he also wrote the widely panned Batman vs. Superman. While some fans are concerned about Terrio’s involvement given the reception of Batman vs. Superman, Abrams began his Hollywood career as a screenwriter, and his track record has generally been good on that front. We’ll find out for sure when Episode IX hits theaters in 2019.